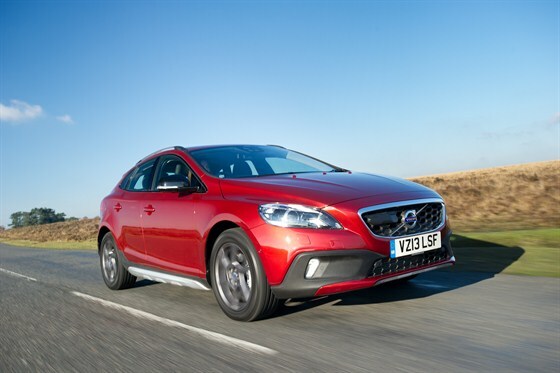 Possibly my most embarrassing car moment of 2013… I noticed yesterday that the V40 wouldn’t lock when I pressed the key fob. `New car, broken key fob seemed unlikely but with Christmas shopping looming, it seemed wise to get it fixed. After an hour of pointless fiddling under the bonnet and battling with a encyclopaedic manual, I called Volvo service. There was a nice man standing on my doorstep within 90 minutes. His remedy, according to the Volvo Bible was to disconnect the car battery for 30 seconds, which should reboot the system. Failing that, it was off to nearest dealership for a diagnostic check-up. Painful. The disconnect did nothing and I waved goodbye to my cheery chap envisaging a trip to the dealer. 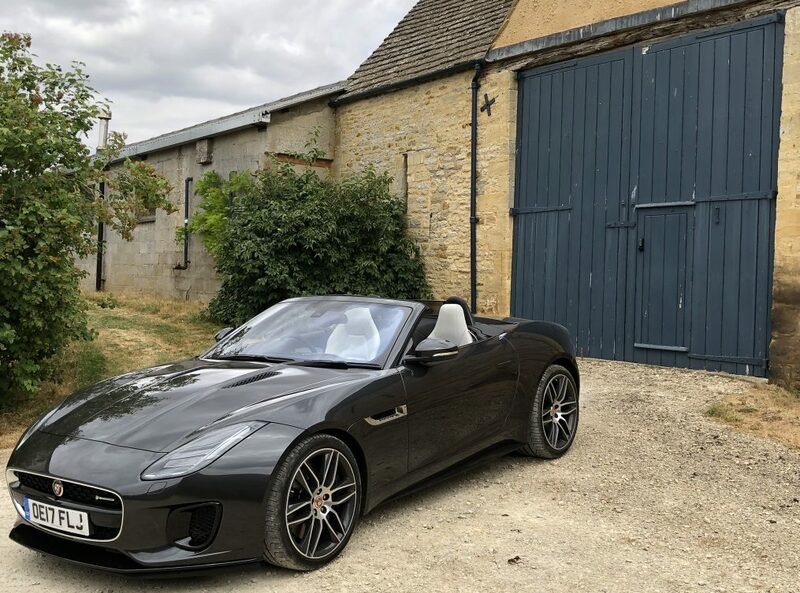 That was right up until the moment I set off for the garage and notice a rather discreet warning diagram on the dashboard that showed the boot was ajar. The V40 is SUCH a super safe car, with every type of flashing warning light to tell me of impending doom. So, although it was my own fault for leaving the hatchback slightly open, why didn’t it give me a more audible, visual alert? It’s a moment that demands a steady nerve, not for the riders but for me. 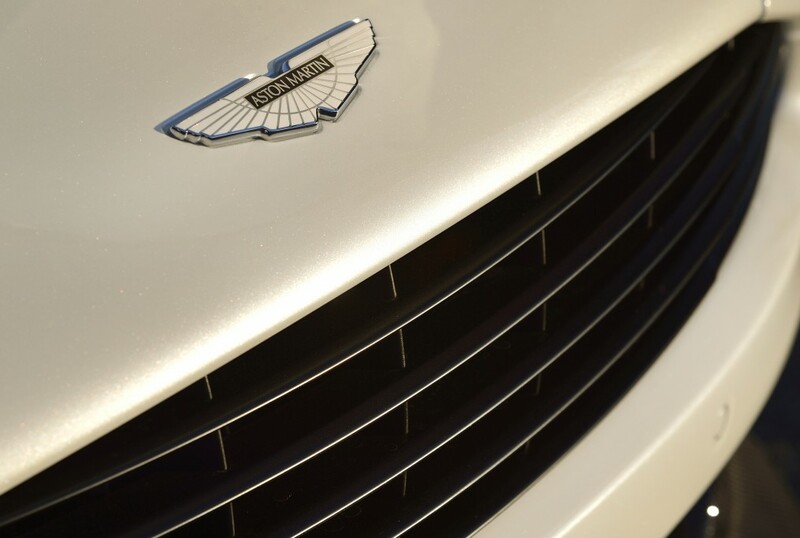 The Vanquish may sound remarkable when you are driving it across country but those twin pipes are guaranteed to put the fear of God into a galloping mare. It was the first time I considered the Aston’s rasping exhaust a hindrance rather than a joy. Perhaps a system like the Porsche 911, which allows the driver to turn the sound on or off, might be worth considering? Another Mazda6 driver flashed his lights at me today. Is there some Masonic bond going on with 6 drivers that I don’t know about it? Took me totally by surprise I can tell you! I get fellow Land Rover drivers waving to me when I’m out in the Series III – that’s people in ‘proper’ Land Rover Defenders, not mums on the school run in a Discovery or Range Rover Sport. 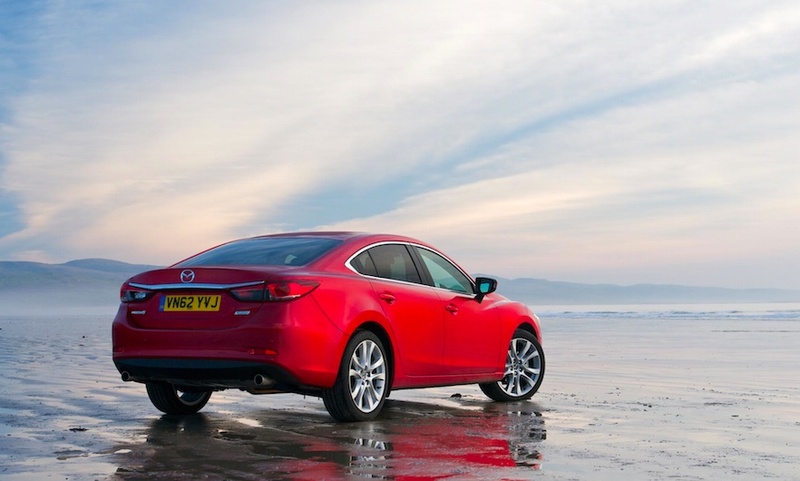 I’d like to think that there was a special bond between Mazda6 drivers, if only because the saloon lacks any real character of its own. I’m going to Google Mazda 6 Owners’ Club in a moment and see what I’m missing. It’s taken a few days but the muscle and character of the Camaro is finally beginning to win me over. Once I’d had the chance to drive it outside of the urban environment, the 6.0-ltre Chevy proved an absolute blast! I swear the entire front end lifts up when you hit the accelerator and the roar from the twin exhaust pipes is just too tempting to ignore. I’ve finally mastered the head-up display now too, which flashes the speed and various other features just above the line of the bonnet, reflected on the inside of the windscreen. Cool. 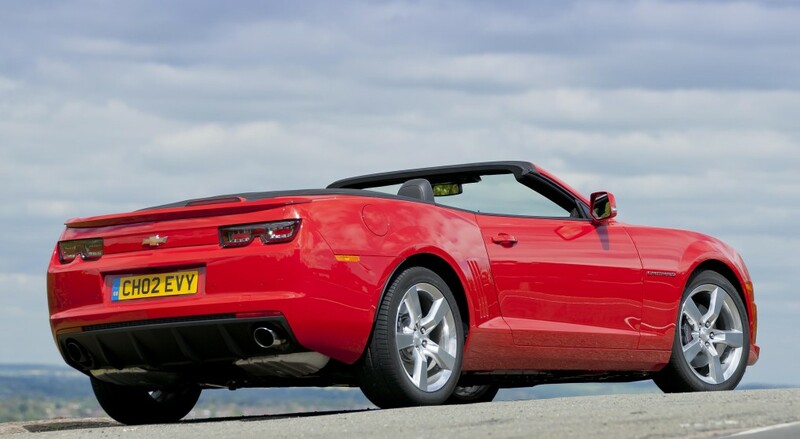 While there is plenty of flex in the convertible’s body design – manifested in the odd squeak and rattle – the Camaro is actually a very comfortable and quiet drive. The front seats are vast, like your grandfather’s favourite armchair. The one place you don’t want to be sitting in this car is the passenger seat on a country A-road. It’s not that my driving is so bad, just that the Camaro is so wide you really do have to keep your eye on your lane positioning. 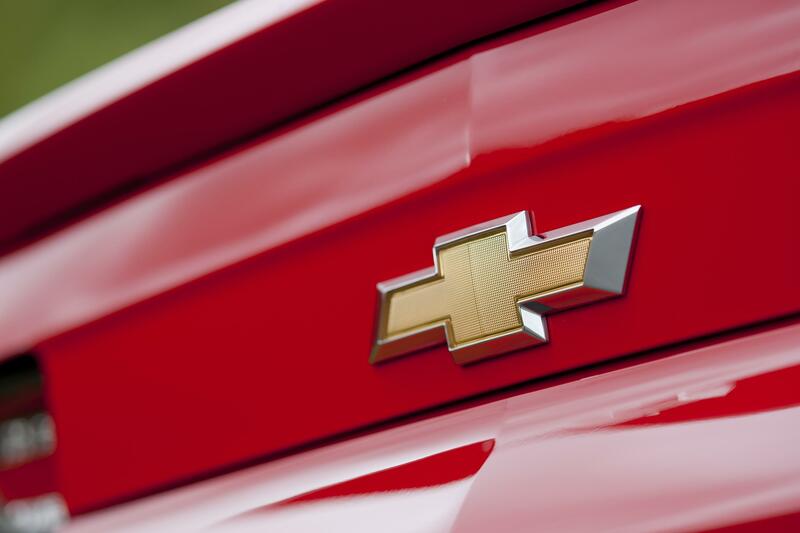 Sometimes you need to stand back a few paces to get the true picture – and that’s certainly true of the Camaro. Compared to your average British car, it’s the size of Texas. It’s almost five metres long, which for a sports car is BIG. And tipping the scales at just under 1800kg, it’s way heavier than any European competition too. So that 400bhp of burbling V8 under the enormous bonnet is actually doing a remarkable job powering the Chevy to 60mph in 5.2 seconds. All I can tell you is that when you do hit the accelerator on a straight stretch of road, the Camaro pushes you back in the seat. Shy, retiring types need not apply… Not only is today’s new test car a rather bright colour, it also boasts two racing stripes over the bonnet and boot lid. Eek. 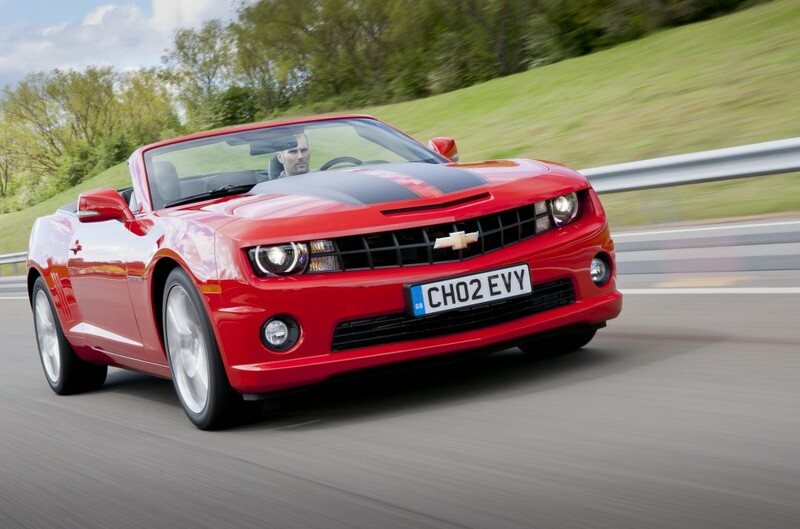 American muscle cars don’t come much more brawny than the Chevrolet Camaro. It sits squat, wide and very long on my driveway, screaming performance, in an outdated, very expensive to run type way. How expensive? Well, apart from the £42,000 price tag on our test car, the best fuel consumption we can hope for is 21.5mpg in the combined cycle! Or 14.9mpg around town. Not only that but CO2 emissions are a massive 304 g/km, which means an annual road tax bill of just over £1,000. The truly great cars are the ones you long to drive every day. Like a faithful hound, they are always there, ready to please and entertain. 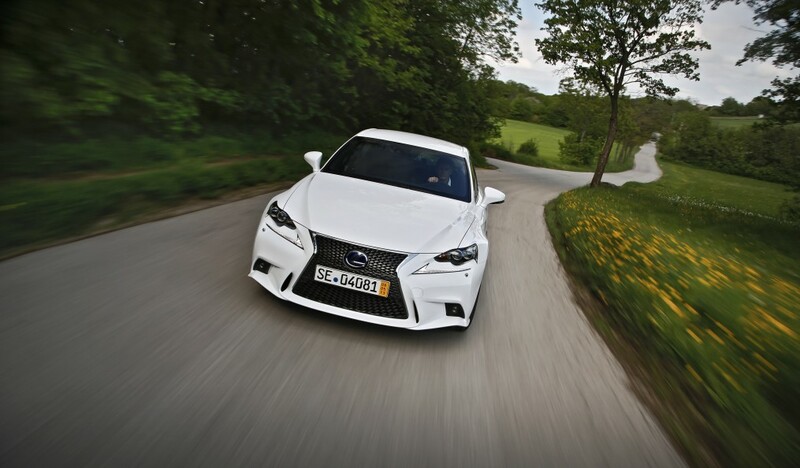 So does the Lexus IS300h tick that box? To be honest, I can’t fault the engineering. The petrol-electric hybrid engine is an astonishing performer, returning 49.3mpg during the week and responding in every sense like a conventional car. The IS is very easy on the eye too, with that BMW-esque rear-end and some neatly cut sculpting on the side panels. Not sure about the bug-eye headlights but still a great looking saloon. But let’s face it, it’s going to meet very stiff competition in the premium brand sector and there are a few areas where the Lexus simply doesn’t measure up. First is the painfully designed centre column of the dashboard that houses the sat nav. It doesn’t look anything like premium brand material to me. Then there is the sat nav itself, which doesn’t input full postcodes. Come on Lexus, that’s just not acceptable any more. And finally, the driver’s seat, which didn’t marry up with my back in all the right places. It probably works for a lot of people but that also isn’t good enough these days.